Facebook is the best and the most addicted Social Networking Website among many. But Security also plays an important role. 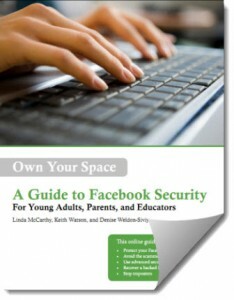 So here TechieBros presents Free Download Official Facebook Security Guide. Your Facebook Account may become a victim of hack and other Phishing problems that arise these days over the Internet. So its always better to take precautions and protect your Facebook Account from being hacked. If someone have already Hacked your Facebook Account then by the use of this Official Facebook Security Guide you can Recover a hacked Facebook account. And more over you can provide security levels to your Facebook Account. So friends join hands together and help promote this post by hitting share button at the end of this article and Secure your Facebook and Safeguard Your Facebook Account from Hackers. And share it to maximum so that other also knows about this Official Facebook Security Guide and help them Safeguard and Protect their Facebook Accounts. You can also also join our Facebook Fan Page for more info and all the latest updates.